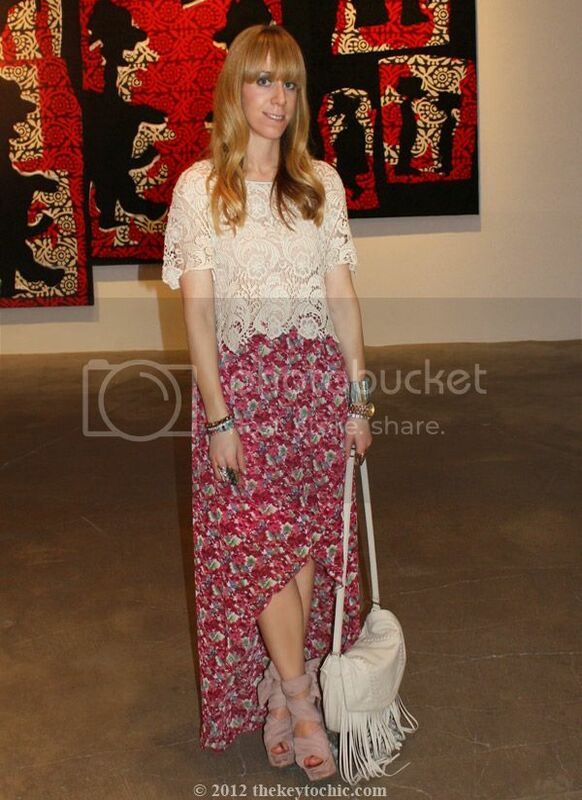 On Saturday, I was able to watch some runway shows and view the designer installations at Ace Gallery in Los Angeles. The blogging community was out in full force, and I enjoyed mingling with fellow bloggers Selena (who was street styled scouted quite a few times with good reason) and the always chic Hallie. 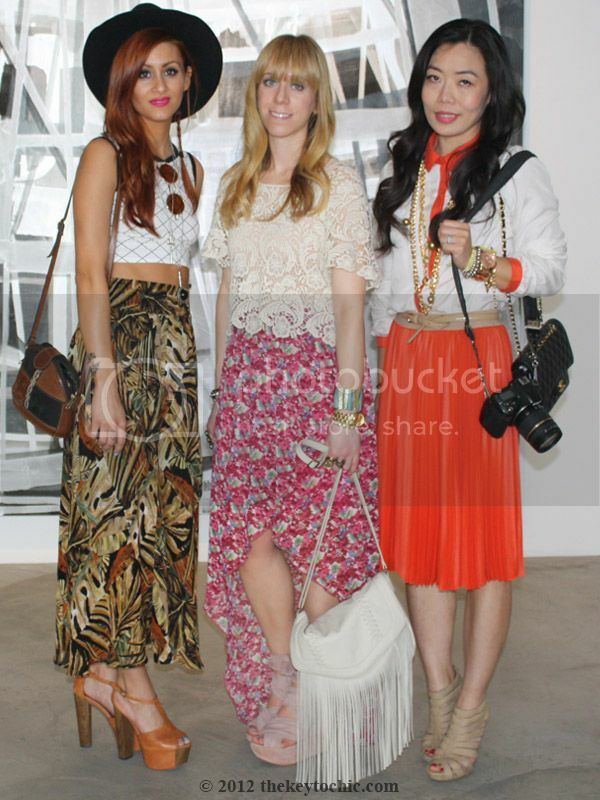 Wearing: Forever 21 crochet top (similar), Allen B. by Allen Schwartz floral high-low skirt (similar), Mossimo fringe handbag, and Topshop Wisteria wedges (close version). The spacious Ace Gallery lends itself nicely to small and edgy fashion installations, where I was able to get closer to the garments and chat with designers in a casual environment. Unfortunately, I arrived later than expected, but just in time to hear thunderous applause from the Gypsy Junkies show, which featured bohemian looks consisting of crushed velvet, saturated florals, and faux fur. It's the type of clothing that I'd happily spend the day lounging in. 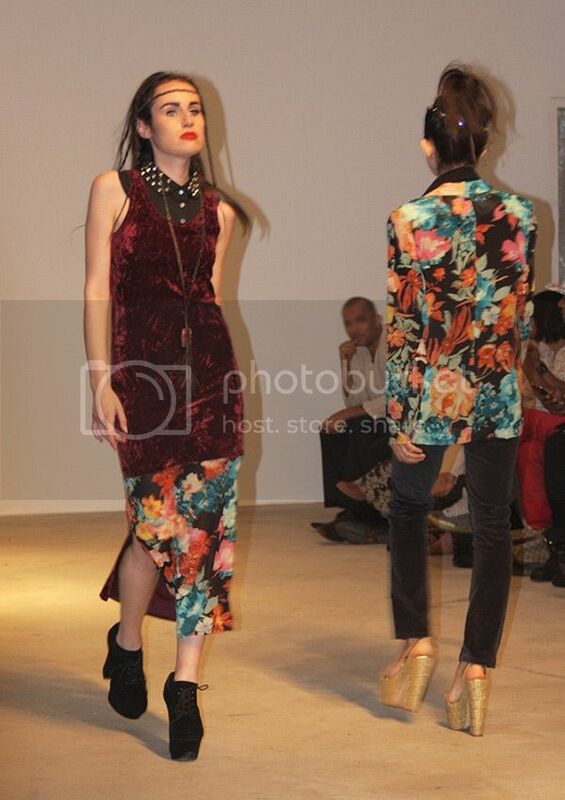 My top looks from the show (care of Selena) are pictured below. 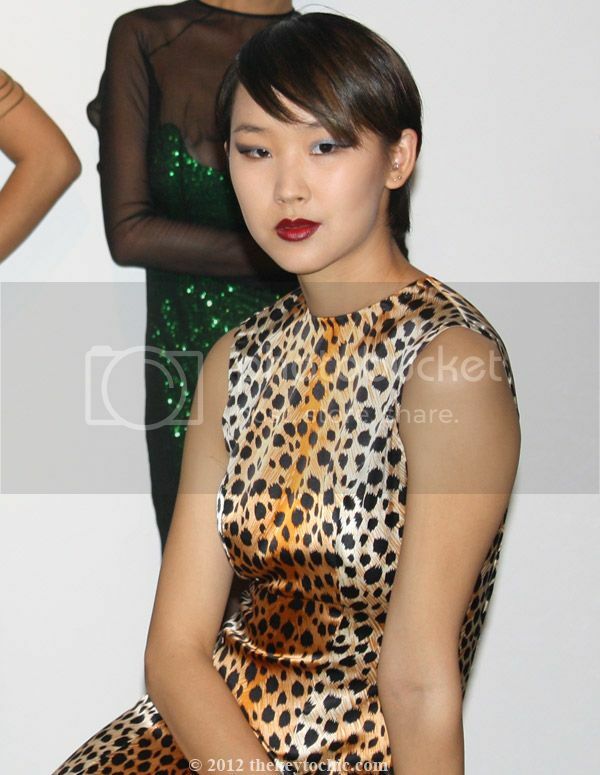 Sharp lines and strong tailoring characterized the Belle N. Matisse collection pictured below. 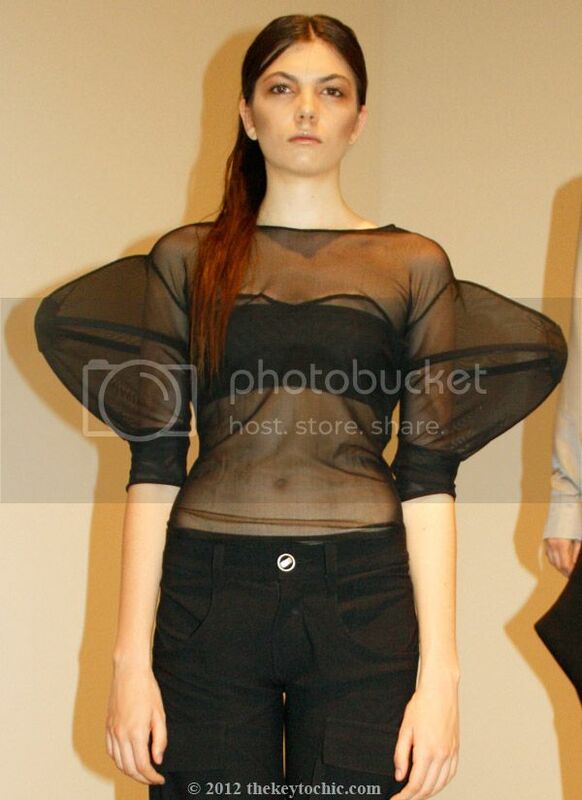 The standout pieces for me were these pointed trousers and the sheer structured blouse. I found the modern architectural details and geometric lines of designer Alexandra Norman to be refreshingly futuristic. The Curly V installation had a playful and fun graphic feel to it. A closer look reveals a tooth print on the left two models. I can appreciate the humor, as the tongue-in-cheek print brings new meaning to the word "houndstooth." 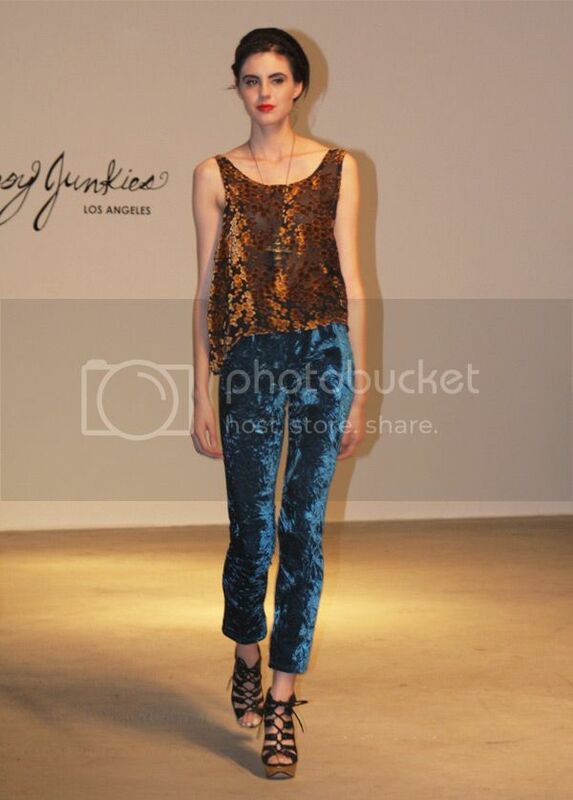 Elaine Allen (pictured in the two photos below) delivered a youthful and retro collection with her printed trousers and cropped tops. 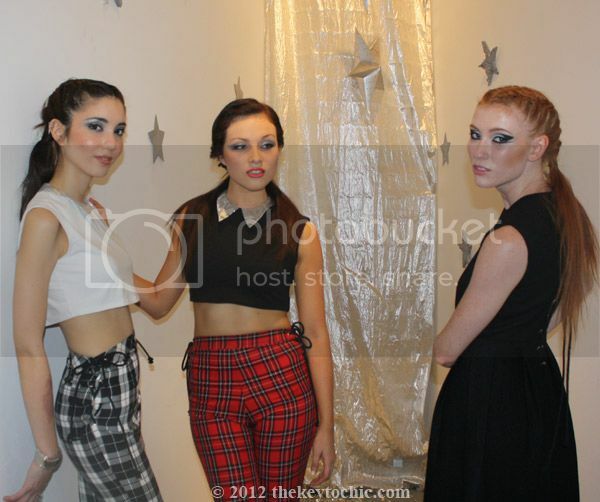 I can imagine these plaid pants from her fall collection being styled in either a schoolgirl or a punk kind of way. 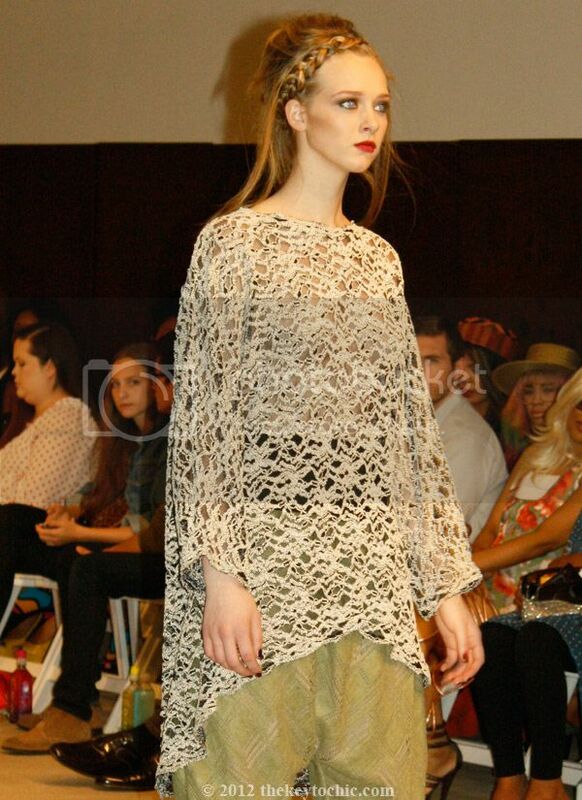 At the Laili Lau show, my favorite pieces were the crochet tops (in the two photos below), which I can easily see doubling as swim cover-ups on warm fall days. 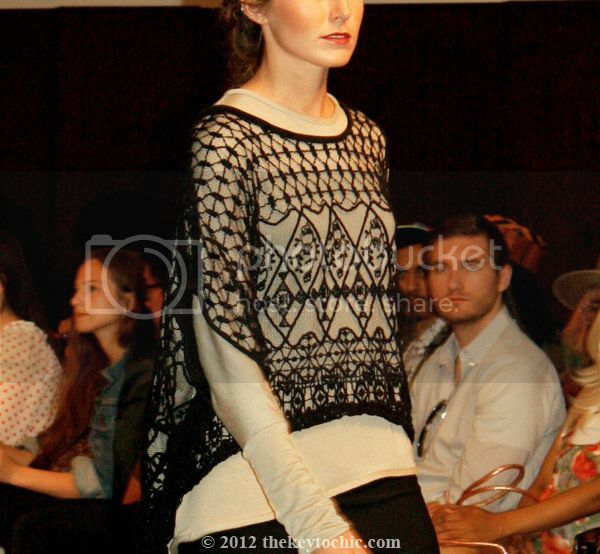 I appreciated the collection's casual trousers, drapey tailoring, and easy silhouettes. 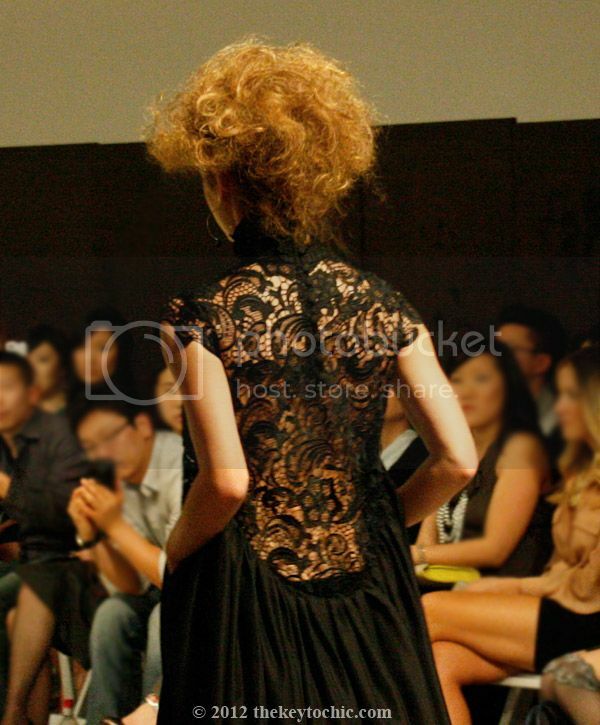 At NAMI, the lace dresses, cut outs, Victorian-esque necklines, and curved seams appealed to me. This black lace dress (with pockets) would be right at home in my closet with some strappy heels or platform ankle boots. Thai Nguyen's collection was breathtaking in its details, which took inspiration from the lights, heat, and mystery of Saigon. His fall line featured dramatic and glamorous couture gowns with sequins, animal prints, sleek hair, and ultra feminine shapes. My top pick was the asymmetrical black and silver slit "Iris" gown; side slits are definitely having a moment. 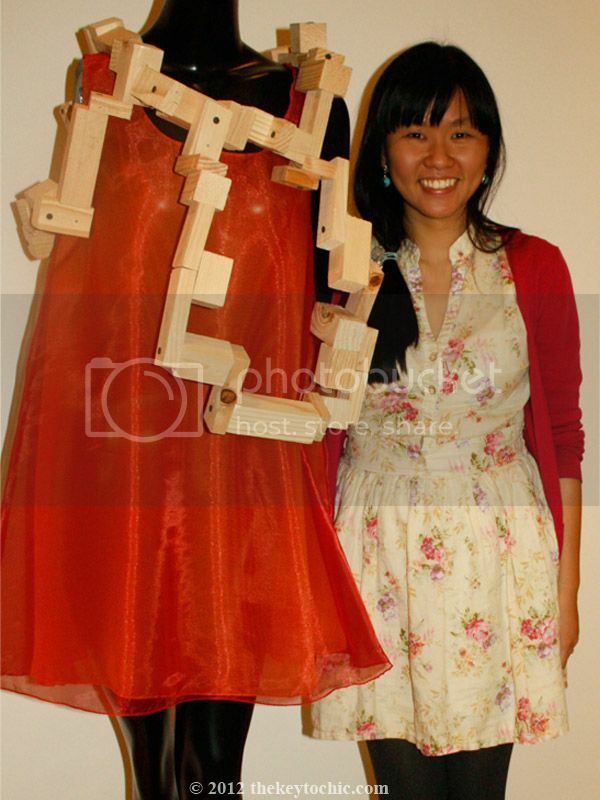 ZuBauen designer Amanda Chan poses next to her favorite trapeze dress from her fall collection below. 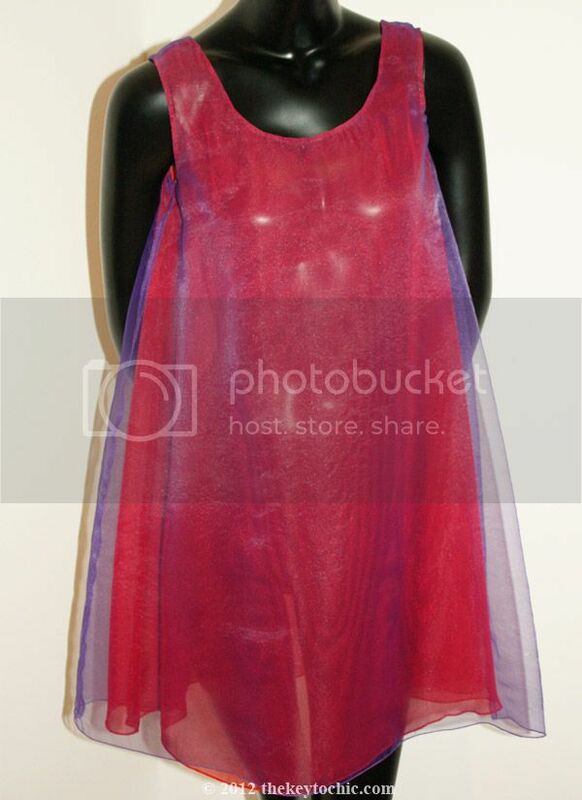 I think the minimalist lines, shiny texture, and jewel tones of the dresses would work well for a cocktail party when styled with some sparkly earrings, a faux fur stole, dramatic eyeliner, a ballerina bun, and patent pumps. Despite the potentially exhausting and busy schedule of events that comes with LAFW, I'm eagerly anticipating more shows and events. I've learned that when covering such events, the best strategy is to take a personal point of view, and focus on quality over quantity. Be sure to have a look at Selena's blog for more coverage and commentary on her favorite looks. Here's a hint...it involves velvet.